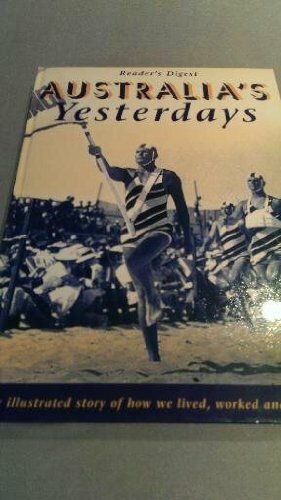 Australia's Yesterdays : The Illustrated Story of How We Lived, Worked and Played by Pearl, Cyril (ed. ): Surry Hills, New South Wales: Reader's Digest, 2000 9780864493880 Hardcover, 3rd Edition - Katsumi-san Co.
**Listed price includes postage paid Media Mail shipping (U.S.)** For U.S. Priority Mail and for orders placed outside the U.S., shipping costs are based on books weighing 2.2 LB, or 1 KG. If your book order is heavy or oversized, we may contact you to let you know extra shipping is required.